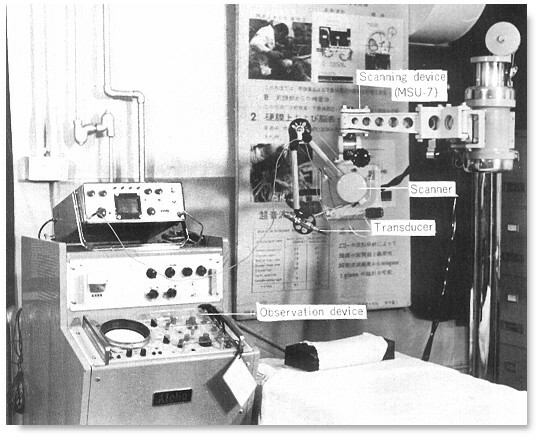 The SSD 1 water-bath scanner from Aloka®, c. 1960. SSD-10 B-mode staic scanner from Aloka after the SSD-1. The scanner gantry can be adapted for brain and abdominal scanning, using different setups labelled MSU-5, MSU-6 and MSU-7. Note the "elephant-trunk' scanning arm assembly found in other western designs.